Accidents and serious injuries can often leave Miramar residents feeling confused and unsure of what to do next. 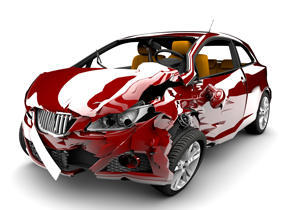 Car accidents account for the largest portion of injury accidents, with 2,300 fatalities reported in Florida in 2009, directly connected to traffic accident injuries. These include pedestrian, bicycle, motorcycle, and other traffic accidents. These events do not need to leave you feeling unsure of what to do. Hiring a personal injury attorney serving Miramar residents can help you get the guidance you need to get compensation for your injuries and any lost wages from missing work, as well as the pain and suffering you endured from negligent behavior. Because of Miramar’s location, there are many activities to enjoy and take part in, which also means more dangers that could possibly happen. Around 25 percent of the accident-related deaths involving children also involve a drunk driver. Florida has a strong boating community, which means there are boating accidents that can happen. Every year, one out of five children who drown, drowned under the supervision of a lifeguard at a public pool. Another one of those five, suffer permanent neurological damage as a result of negligence. A Personal Injury Attorney Serving Miramar Can Help You! These types of accidents do happen, but you should not have to suffer them alone. A personal injury attorney serving Miramar can help you get compensated for your medical bills, pain, and suffering by using their experience and knowledge of local laws. A great attorney will help collect evidence for your case, let you know what your rights and options are, and can give you advice as well as act on your behalf when an opposing party is difficult or their insurance adjuster is trying to blame you. A personal injury attorney serving Miramar can also negotiate with your own insurance for uninsured motorist protection, in the common event the adjuster under values your claim and attempts to settle your claim for less than you deserve. If your case does go to court, a personal injury attorney serving Miramar from our Firm will represent you and seek to win your case, will the goal of obtaining maximum compensation for your injury. It is always worth the time to at least give a personal injury attorney a call whenever you or a loved one sustains any type of harmful injury. Find out how a personal injury attorney with Tucker Law can help you!